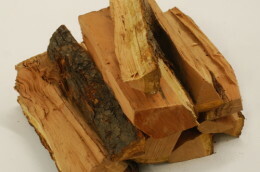 Kindling by Bundle of Warmth, .30 Cubic ft. of premium kiln-dried firewood. 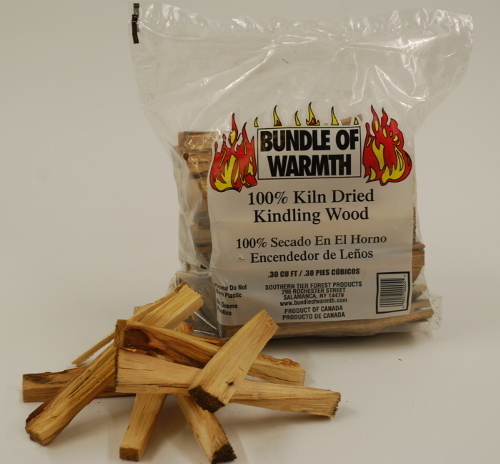 Our bagged kindling is 100% kiln-dried which ensures no mold or bugs. USDA certified and comes in a convenient bag. I’ve used bundle of warmth wood for my wood stove for years. I start with a half stick of a firestarter (I buy a 30 pack and it lasts me an entire year! ), stack a few pieces of hardwoods on it, then some pieces of kindling and I have a roaring fire in three to five minutes tops. Plus, the orders always arrive very quickly! Ordered this .30 bag after getting tired of running out, and over-spending for the smaller bundles from the stuff they have at the stores. They work as expected. I typically start the fire with some newspaper crumpled under the kindling. Within seconds i have a blazing fire. This bag will last for a few months, but next time, I will buy more than one, for sure. I would recommend this product, because they are true hardwoods that burn hot and long. Exactly as advertised. Good or great hardwood is very hard to find. We use a wood stove insert exclusively during the winter and a couple of kindling sticks make lighting the hardest wood easy. Nice to have the ability to buy online here, since stores around here run out half way through the season and are reluctant to re-order with spring coming up.